On this week’s episode, we’re joined by Tonya Mork of Know the Code. Tonya likes to rethink the way she does things to find a better path, one that is more efficient, effective, leads us forward, and is balanced with intent. She likes to share ideas, plant seeds, and inspire folks to consider a different approach. Her blog (Hello from Tonya) is all about the way she thinks. It’s meant to inspire you to stop, assess, and rethink the way you are doing things. Voiceover: StudioPress FM is designed to help creative entrepreneurs build the foundation of a powerful digital business. Tune in weekly as StudioPress founder Brian Gardner and VP of StudioPress Lauren Mancke share their expertise on web design, strategy, and building an online platform. Lauren Mancke: On this week’s episode, Brian and I will discuss ways to build an educational Genesis business with Tonya Mork from Know the Code. Brian Gardner: Hey, everyone. Welcome back to StudioPress FM. I am your host, Brian Gardner, and I’m joined, as usual, with the vice president of StudioPress, Lauren Mancke. I’m very excited about today’s show because we’re continuing our series where we talk to members and experts, mind you, of the Genesis community. Today, we’re joined by Tonya Mork of Know the Code. Tonya likes to rethink the way she does things to find a better path, one that is more efficient, effective, leads us forward, and is balanced with intent. She likes to share her ideas, plant seeds, inspire folks to consider a different approach. Her blog, Hello from Tonya, is all about the way she thinks. It’s meant to inspire you to stop, assess, and rethink the way you are doing things. Tonya, it’s a huge pleasure to have you on StudioPress FM. Welcome to the show. Tonya Mork: Hi, Brian. Hi, Lauren. Hi, everybody. Glad to be here with you guys. Lauren Mancke: Yeah, we’re glad you’re on the show. Brian Gardner: Now is this the first time you guys have talked to each other, probably? Tonya Mork: Yeah, it is, actually. Lauren Mancke: In person, yeah. Brian Gardner: Cool. Yeah, Tonya and I have had a couple of good calls, which we’ll allude to throughout the course of the show. I’m going to just kick off and start a little bit personal. Tonya, on the home page of your personal blog, you have 16 circles of words that describe you. I’m going to make it fun, and I’m going to ask you to pick three of those that most personify who you are, and why do you think that those three would be the top three? Tonya Mork: Wow. Try to define a person in three different characteristics. That’s a tough thing. Brian Gardner: Well, 16 seems like a lot, so I figured if we narrowed them down to the best of the best, you could tell us in a nutshell who you are. Tonya Mork: Okay. I think what defines me the most is that I unlock potential. I’ve been doing that my entire career — not only with people, but processes, with technology, and so on. The way that I do that is that I’m able to see what could be possible, what’s not there right now, and then I’m able to map out a way to move us to where we want to be. If I were to look on that page, I’d say, okay, potential unlocker is one, and then the visionary leader is another. It takes a lot of vision to not only educate people, but lead people, manage people. To build websites, too, it takes a lot of vision. The other thing to know about me is I’m a very happy person. Everything that I do, even back in engineering days when there was some tough problems, it didn’t matter. If I was in a boardroom or on the floor, I like to have fun. There’s a time for being serious, but you can still temper that with making sure that you’re having a good time and enjoying what you’re doing. Lauren Mancke: You mentioned you’ve been in engineering. We know that WordPress has been around for just over 10 years of that time, but you’ve got a career that lasts more than 30 years. Can you give us a little bit of background about what you were doing before WordPress? Tonya Mork: Sure. I’ve been in engineering since the mid-1980s. I used to be in the high-tech world, so the automation world. This world, for folks who don’t know, if you can think about anything — your computer that you’re looking at, your phone, your car — all these things are mass-produced. To put those things together, it takes a lot of automated equipment, robotic, different cells, instrumentation, quality-type processes that go through and they assemble, test, make, those types of things. That’s the world that I used to belong to. I held many different roles in that. I started off as a tech, and then I moved into engineering. Then I went into some project management. I went into staff management, executive management, and so on. I had a whole path and trajectory that I went through long before I came to WordPress. Then life threw me a curve ball. There’s a chapter two that I know we’ll talk about. Then I found WordPress. This is how I ended up here, and we’ll talk about that here, I’m sure, as we move along in the interview. Brian Gardner: Yeah. There’s so many people in the WordPress community, many of which are really new, new to blogging, new to development or design, or any of that. One of the things I like most about you … and I’m going to say this with no disrespect because you have a long career. We just mentioned you’ve been around for 30 years, which means you’re older than some people in our field. This comes out in your website and in the way you talk and in the way you explain things — you have a tremendous amount of knowledge for process, for analyzing things. There are not many people that I know of, if at all, who probably bring to the table what you do. To our community, I’m so thankful that you can bring that area of expertise because I think there’s probably holes and gaps here and there that exist. You certainly fill a big one. Thank you for that. Tonya Mork: Thank you. Gosh, that was very nice of you. I appreciate it. Brian Gardner: Okay. You alluded to a chapter two, and I hope that this is okay to ask. I read the very personal story you shared on HeroPress about finding your purpose in life. Clearly, you have a story to tell. You talked about it just a few minutes ago. In 2007, in your words, your life took an ugly twist. In whatever detail you feel comfortable, talk to us about that because I think that formulated kind of who you are now and where you’re at. Tonya Mork: Sure. It’s a big shift, and I wrote that article for a couple of purposes. One is to explain how can someone with the experience that I have, why aren’t I back in that market? Why am I here in WordPress, and why am I trying to help people? It needed to be told so that people wanting to know who I am and trust me as I’m trying to help folks and the reason, the impetus why. That’s why I wrote it. Then, two, I wrote it to kind of help inspire that sometimes life does just take an ugly twist. We all go through things. It can be anything from losing somebody to divorce, to losing your job, whatever. What happened to me in 2007, my engineering company was flourishing. We were doing really, really well, very profitable, and then I got ill. That’s one of those things you can’t predict. The kind of illness that I had, they basically went down a path and said, “You have something that’s extremely rare. I mean very rare, and there’s basically nothing we can do for you.” I had to lock myself away because everything in the world made me so ill that I wasn’t able to function. I basically became a prisoner in my own home. If you can imagine what that feels like to be so ill that lights, noise, a bird flying, being in a car watching things go by would send you into a seizure and then put me into the type of situation that was life-threatening, you can imagine how my life would be then. I was pretty much stuck here in this house except when it was time to go to a doctor or the hospital. That was it for many, many years. Going from being a type-A person who had a company, who had people, families that were counting on me, was very, very difficult. We lost everything. We watched them take everything from us. I lost friends. We lost our home. Everything that we had built throughout our career was all gone, all the savings, all gone, everything. The people that I employed were my friends. They were part of a family, and they lost everything, too. We’d built this together, and they had to go out and find different employment that didn’t have that same feel to it. It took them a while to get back on their feet again as well. It was a devastating loss for all of us. I was black for a while, just in a hole of darkness. Then somewhere along the way, I got sick of that. I got to get back to the essence of me, and that is I got to be happy again. I made a conscious choice that, “Okay, I’m locked in these walls. So what? I can extend out and do something in the world outside these walls, and I can do it virtually so that things outside, I could still control my environment so that I’m not ill, but I have a way of still being able to do something and have a purpose in the world.” That’s where I found WordPress. We were using it in my engineering company just for the blog, so I knew about it. Then I started a nonprofit to help people that were like me, and we spun up BuddyPress. I spun up the website for it. Then I started tinkering. And, “I really want to know this thing.” That engineer came out in me again, and then that educator came out. It was like I was looking at questions people were asking, and it’s like, “Wow, folks come from a different background than what I’m in. They don’t necessarily understand software principles and the fundamentals.” So I started answering questions. That led me on the path that I’m on now for helping people. Brian Gardner: Thank you, first of all, for sharing your story. I know it’s not easy. I’m a person who has had multiple chapters in my life as well, some online, some off. I think we have a tendency to glorify life online and being an Internet entrepreneur. Especially with social media, it’s so easy to portray just how good life is. Instagram, Facebook, all of that stuff, filters, all of that stuff. I’m a huge proponent of trying to keep it real. One person that comes to mind is Cory Miller, who speaks very much about mental health and trying to help those who are online doing things, entrepreneurs, that kind of thing. I hope to have him on the show in a future episode just to talk to that. I think there’s a reality that we all — whether we’re business owners, writers, bloggers, designers, or whatever — there is parts of our life that aren’t happy. It’s okay to go there and to figure that out so that you can become happy. For our listeners, those who are listening, understand that Tonya has a great story, and we’re just thankful for hearing that. Tonya Mork: Thank you. I’m thankful to the community because the community gave me purpose. If you go read my story, you’ll see that I found my purpose because of this community, you guys all welcomed me in, that I could then contribute. So many people contributed to the knowledge that I have in my brain. I just want to give that back to people. The end story of chapter two was that I got so ill, my body gave up, and I passed away. I got a miracle, and I came back. I said, “That’s it. I’m going to be a different person now, and I want to give back.” That’s what I’m trying to do now to help all of you guys to do more, make more money, be more efficient — obviously, I love Genesis — to help you to be able to know, to maximize what you can do for your clients with it. Brian Gardner: That’s a great segue. Lauren Mancke: I think there’s a lot of appeal with Genesis and in the WordPress community to have the flexibility, your schedule, and things that you can do that you might not be able to work in a traditional work environment. I think a lot of people can relate to that. When did Genesis become part of your picture? Tonya Mork: Let’s see, pretty much close to when Brian put it together. I forget the article that I saw, but something drew me to it. I started looking at it. I like to break things apart and just understand how they work. As it started progressing, it was like, “Hmm, I like the way this is put together.” It really feeds that developer sense that you can go in and do what you need to do. Out of the box, it comes up. You’re able to build a site immediately. Then just with a few tweaks here and there, you can get a custom experience. I like that versus just every time out of the box, you’ve got to go and write a totally different experience. That’s not highly effective to be able to do that, whereas Genesis allows you to be very effective and efficient. That’s what drew me to it. I would say it was pretty close to the beginning, not obviously right at the beginning, but pretty close to it. Brian Gardner: One of the things I like about the Genesis community, aside from the people that are in that, is the array of multiple opportunities that folks can … WordPress is kind of the same way. I always feel like Genesis is a smaller version of WordPress in that there’s just so many different ways to make money. You can design. You could develop. You can train. There’s just so many different opportunities there. One thing that, as I alluded to earlier, there’s gaps, or there were gaps, in the Genesis community, the educational side of Genesis and WordPress, coding, and developing, all in itself, that was sort of there. A lot of people take for granted, I do all the time, in my eyes, how easy it is to pick things up and to learn, and how to move things around. But I fail to understand or embrace, a lot of times, the reality that there’s hundreds and thousands of people who were once like me way back in the day — new to it all, don’t understand it, need a little handholding, and stuff like that. I reached out to you shortly after it to just touch base and all of that. Obviously, Know the Code is a passion project of yours. You’re passionate about what you do. It’s something that I’ve seen you sort of, and we’ve talked about a little bit, very intentionally and smartly, might I add, monetizing because we all have to make money. Passion is great, but if you have the opportunity to make money from it, that’s also great because we need jobs, right? Brian Gardner: What is the hope you have behind it? Obviously, you’re teaching and training people, and enabling them to pursue their version of a journey. From your perspective as an entrepreneur, but also from the perspective of the customer of yours, what is your hope there? Tonya Mork: Just to be clear so that people understand what Know the Code is, yes, I teach Genesis, but I teach web development. I teach software principles, which feeds anybody from any stage in their career. It can start from a beginner through a seasoned pro like myself. It’s part of feeding that continuous learning process that we all have to do. It’s technology-based. It’s intentionally targeted at professional developers or people who want to be professional developers, who maybe along the way got into writing some code. They didn’t learn about things like solid principles and modular design, configuration designs, and how to troubleshoot and write code in such a way that it’s very efficient and reduces your cost. These are types of things that I teach. From an entrepreneurial standpoint, if you’re going after people who are going to make money off of what you’re teaching them, then it makes sense to monetize that. “I’m helping you to make more money, so okay, you should then pay something to me for my expertise as I’m enabling you to go off and make more money.” That’s why I put a monetizing paywall up in front of it. There’s a lot of free content, too, that people can then use as well. Again, that’s the educator in me. I’d love to be able to give everything away for free, but I got to eat, too. Tonya Mork: I have bills to pay, too. I’d like to live in my house in chapter three, you know? Brian Gardner: Although your advantage, though, is you live up in Wisconsin in Two Rivers, right? Brian Gardner: There’s a much lower cost of living there. At least you have that going for you, whereas I live in Chicago. Brian Gardner: I get hosed on my property taxes. There’s more pressure for me. Tonya Mork: I could imagine living where you’re at, yeah. We intentionally moved here. We used to live in downtown Milwaukee, so I know how expensive it can be. We moved here intentionally for the lower cost. From the perspective of my clients and customers who come to me, you’re the type of person who just wants to do more. You want to be more effective at what you do, you want to better serve your clients, and you want to make more money. You’re a professional, and that’s what I’m helping you to do. Lauren Mancke: What have been some of your challenges that you faced when you started Know the Code? Is there some unexpected things that you’ve had to deal with that you didn’t foresee? Tonya Mork: Everybody who ever starts a business always has some things that you learn, right? It’s one of those where I tell people, they want to know what entrepreneurship is like, well, you’re standing on an edge of a cliff, and it’s black out there. You have a vision in your mind, and you jump out. You start flying. Sometimes you’ll sink a bit. You’ve got to be innovative enough to be able to see that coming, then be able to adjust your path, so you can start to soar again. With Know the Code, some of the things are I produce a lot of content. Because of the format and how I do it, I’m able to just turn on the camera and just do a brain dump from me to you. It’s more like a cable, from my head to yours. That means I can produce a lot of content fast. One of the things I didn’t foresee was, “Wow, how am I going to organize all of this content, so you can quickly find it?” You can’t just dump it into a library. People aren’t going to be able to find that easily, so what I’m doing right now is going through a process of content discovery and working on the user experience, too, that you can, within a few clicks, find what you’re looking for. Brian Gardner: Sounds like a Dewey Decimal System, if we’re using the library analogy. Brian Gardner: I have a 30-second timeout because I want to ask you a fun question. Are you personally responsible for the designs both behind Hello from Tonya and also Know the Code? Tonya Mork: First one, yes. Second one, no. Yes, I did my personal site. It’s just something I’ve been playing with. I like playing in the sandbox, so you’ll come back it may be different. It’s just my expression of that designer that’s been unlocked in me. Know the Code, though, has a team behind it. We have a couple of professional developers who are designers who put that together. Brian Gardner: I kind of had a suspicion that you had your hands in at least one of the site designs. They’re both great. I love them both. I love the color schemes in them all. I can tell that you’re as meticulous with the design of your site as you are with the content on the site — so kudos to you. Tonya Mork: Thank you. Now, I did influence the color palette on Know the Code, because you’re going to notice I like green. That’s my favorite color, so yeah, I did influence that color there. I also like orange. There’s orange everywhere. Lauren Mancke: Speaking of Know the Code, do you have some sort of process in which you determine the types of things that you teach there? Do you have a way to determine what will resonate with your audience? Tonya Mork: That’s a good question, Lauren. When I first started, I thought, “Well, who knows me the most? Where do I start?” Web development, software development is huge. Just the principles alone that you go through to learn how to sit down and write code from scratch. That’s what I’m trying to get folks to do, write it from scratch. There’s a lot to it. What I said was, “I’ve been in the Genesis community. The Genesis folks know me, so I’m going to start there.” I look at questions that people ask, and I say, “Hmm, okay, I can answer that question for you, and name that tune in X amount of notes.” That’s what I try to do — look at what questions people are asking, and then put that together. Then I kind of have a path for myself. I have a road map that I put together, and I’m taking you on a journey from where you’re at today. I looked at a big part of the market and where I believe the skillsets are at today and where I’m trying to drive you to, which is to be able to build anything and code from scratch if you want to. I’ve put together a trajectory for that. I’m sprinkling in some of the questions that you have to make sure it resonates with you because I’d really like to break it down into the basic elements so that it’s easy for you to adapt and take it away, not just one context, and trying to sprinkle in some of those questions with answers so that it clicks on the lightbulbs for you. Brian Gardner: That makes a lot of sense. I love that. I really do. On a recent call we had, you and I, we discussed the possibility of branching out with your business plan, right? Brian Gardner: We agreed that, as great as Genesis is, to the greater of the Internet, it’s just a very small sliver of audience and opportunity. I’m not territorial about that. I encourage anybody who’s building a Genesis-based business to think outside of the box, outside of the Genesis community, because there’s so much more opportunity to reach people on a broader level. The same can be said about WordPress to some degree because, even outside of WordPress, there’s still more space. We talked about broadening the training and the types of things you’d teach to cover ‘business people’ as opposed to ‘WordPress or Genesis people.’ Where are you at with that? I know it was only about a week or so ago we talked, but have you started thinking more about just things about general business? For example, I know we talked about things like legal types of things, such as trademarks, and all that kind of stuff. Tonya Mork: Mm-hmm (affirmative). Right. Know the Code itself is about writing software. It’s not just WordPress. I teach you PHP. I teach you jQuery, SQL, everything. That can allow you to build any kind of site that you want. If you think about it, as you just said, there’s this whole business side, even for developers. You’re stepping out, and you’re really good at code. Or you’re a designer and you’re really good at designing — but do you have that business ability as well? It takes a lot. There’s sales. There’s marketing. There’s all the legal stuff. There’s accounting. There’s a lot to running even your own little agency or freelance business. What Brian and I were talking about that I had mentioned was, after I did the Matt Report, some folks started asking me questions about, “Okay, well, how did you run businesses?” because I used to run a multimillion dollar businesses. “How did you do that?” What we’re doing to start with is I’m going to start writing just blog posts about business, just to share some ideas. That’s part of what my personal blog site is, just to get you to think about different ideas. I started a Little Green Book series. Some of those will be code. I just published a book, Refactoring Tweaks, which is on code to make your code better. The next one will probably be something in business. I can write these quick little ebooks that are less than 100 pages, or around 100 pages, to teach you something about technology or something about business, whether that’s marketing or whatever. Then that can then lead into something else that you and I talked about, too, which is then, “Okay, well, you’ve got a book. You’ve got written content.” Then we can move into something like maybe master programs where I can spin up a webinar or some sort of course and take you on a path. Brian Gardner: Now, Lauren is going to run the rest of the show while I go out and register KnowtheBusiness.io, because that’s how my brain thinks. Immediately, as you were talking, I’m like, “I’m going to recommend that you go off and think about what would be … ” If in fact you do get that response from people on your personal blog, people who are interested in starting a business and learning all of that stuff, what is the Know the Code version of what that website might look like? Tonya Mork: Oh sure, I’m on there right now registering it. Boom. Got it. Brian Gardner: I wouldn’t doubt it. Tonya Mork: Might as well while we’re talking, right? Tonya Mork: You inspired the idea. Lauren Mancke: Do you see any holes in the community as it stands now for different types of training, like on Know the Code? In other words, are there other opportunities that people can come in and offer something of value, that they can then make money at? Tonya Mork: Oh absolutely. The whole thing, if you’re going to be an educator, you really need to know your stuff. You need to be able to do this. Let me take just a moment to teach you something, too, and then I’ll answer the question. You need to be able to start where that person’s at, and then map out a trajectory that moves them from where they’re at to where you’re trying to move them to. Then make it adaptable so that they can go off and make it their own, and not just teach one use case. Okay, I teach you how to build this one widget. “Well, great. I know how to build one widget. Whoopee.” No, it’s, “I know how to build a widget, which means I know how to write code. I know how to do this.” Okay. From an education standpoint, that’s what great educators do. They know how to get you to think and adapt the information that they’re giving you, and then that inspires you to go do other stuff. In the space, I’m here to help teach code, the proper way of building code to be efficient and make money at it, but there’s other things. Think about WordPress and what we’re doing. There’s content strategies, right? So you could be someone who needs to be out there teaching how to work with your clients to make the content first. Designs are great. We can put a pretty label on something and so on, but what’s going to keep people coming back to a website is that content. If the content isn’t right, then people are going to look at the pretty site, and they’re just not going to come back. Teaching strategies on content strategy itself, how to work with clients, that’s an area that could easily be done up. There’s things in SEO. There’s lots of different opportunities. You may think, “Well, that’s kind of saturated. Some folks are already doing that.” Find a way to do it differently. Find a way that’s uniquely your voice and that you have a true expertise in, and then you can go out and share that knowledge and educate others. Just remember, though, it’s about others. It’s not about you. It’s making sure that you’re truly delivering value to help other people do more things. Brian Gardner: I love what you said there. Last year at our Authority conference, Sally Hogshead was one of the main speakers. One thing she said, and you just basically said the same thing, was, “Different is better than better.” First of all, there’s a lot of people who claim to be knowledgeable in doing what they’re doing, not necessarily in the Genesis community, but there’s a lot of fluff out there where people are really good marketers, could design a good sales page, or something to that effect. One thing that I for sure know about you is that you completely back it up, almost more than you need to, not really, but a lot of people you can just tell, “Oh, this is a good sales page,” but there’s going to be not much to it after that. With you, it’s like you open the door, and there’s a mansion of knowledge. Development, for me, isn’t as interesting as design is. That’s just me personally, but there’s a ton of people out there in the WordPress space, in the Genesis space, and even outside of all that, just who are mega developers or people who want to just develop and don’t have the artistically creative side where design would appeal to them. For them, it’s all about code and knowing the code. I sincerely think you have an opportunity to do a lot more good work for the people everywhere. Tonya Mork: Thank you. Yeah, design is another area where folks could jump … there’s a lot of elements to design that you could go in and start teaching with. Brian Gardner: Now you’re going to register KnowtheDesign.io. Tonya Mork: Well, I’m not a designer. I will tell you right now, I am not a designer. I wouldn’t even want to try to teach that. There are great eyes out there, and mine aren’t it. If you want to know ones and zeroes, that’s me. Brian Gardner: Well, that’s the great thing about a good ecosystem — everybody knows their skills and their part, and they kind of just play and usually stay within that, which is good. Then it gives people a place, a good resource to go, to learn, and to do all of that stuff. Tonya Mork: Yeah. If you’re thinking about education and helping others, make sure that you really have an expertise in that. You’re right. I get a lot of emails where people say, “I could teach you how to blah, blah, blah.” My first question is, “Have you done it successfully? What’s your background?” That’s why I tried to push my background out there, so it didn’t just sound all fluffy and, “Well, okay, why is she teaching this? Does she really know her stuff?” I think you need to make sure you know your stuff and be able to back it up and prove that, yeah, you really do. Brian Gardner: Yup. Those are great words of wisdom. I want to do this with a number of the people that we have on the show because I feel like we could just keep going and talking and talking and talking. In the spirit of trying to keep this to a digestible level, I want to for sure have you back on the show, either in a follow-up fashion or to just pick your brain in another area that would be applicable to those who are listening. Brian Gardner: I do want to ask our audience, as I always do at the end of the show, I have a question for you. Do you want to be a more awesome and in-demand professional developer? If you do, learn how to level up as a WordPress developer with Tonya at Know the Code, and get a hands-on, practical web development approach with screencasts which will help advance you to the next level in your career. For more info, visit her website, KnowtheCode.io. 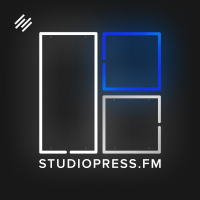 If you like what you heard on today’s show, you can find more episodes of StudioPress FM at, you guessed it, StudioPress.FM. You can also help us hit the main stage by subscribing to the show in iTunes. It’s a great way to never ever miss an episode. Thank you so much for listening, and we’ll see you next week. Tonya, it’s been a pleasure. Thank you for your time. Tonya Mork: Thank you, Brian. Thank you, Lauren.